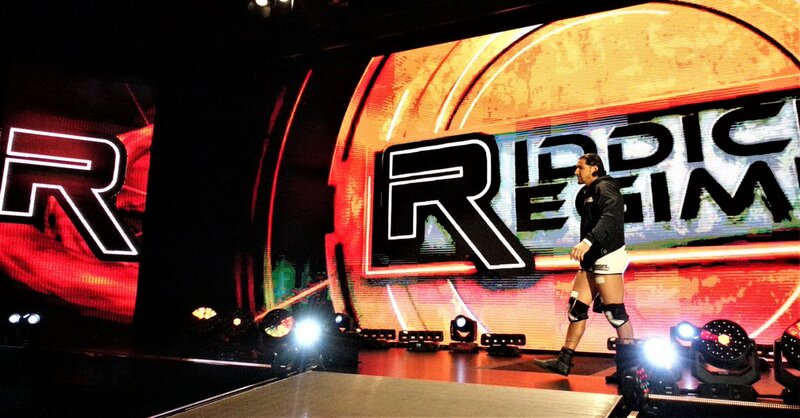 February 13, 21, 2015 – NXT Live Event: Chad Gable defeated Mike Rawlis. March 13, 2015 – NXT Live Event: Bull Dempsey defeated Mike Rawlis. March 29, 2015 – Wrestlemania Fan Axxess: Bayley and Mike Rawlis defeated Carmella and Colin Cassady. Adrian Neville and Baron Corbin defeated CJ Parker and Mike Rawlis. May 1-2, 2015 – NXT Live Event: Solomon Crowe defeated Mike Rawlis. May 27, 2015 – NXT: Blake and Murphy defeated Elias Samson and Mike Rawlis. May 29, 2015 – NXT Live Event: Tye Dillinger defeated Mike Rawlis. May 30, 2015 – NXT Live Event: Bull Dempsey defeated Mike Rawlis. June 5, 2015 – NXT Live Event: Solomon Crowe defeated Mike Rawlis. June 10, 2015 – NXT: Mojo Rawley and Zack Ryder defeated Mike Rawlis and Elias Samson. September 19, 26, 2015 – NXT Live Event: Bull Dempsey defeated Mike Rawlis. July 23, 2015 – NXT Live Event: The Vaudevillains, Steve Cutler and Mike Rawlis defeated Blake, Murphy, Dash Wilder and Scott Dawson. July 25, 31, 2015 – NXT Live Event: Bull Dempsey defeated Riddick Moss. August 7, 2015 – NXT Live Event: Tye Dillinger defeated Riddick Moss. August 27, 2015 – NXT Live Event: Riddick Moss defeated Tino Sabbattelli. September 16, 2015 – NXT: Mojo Rawley and Zack Ryder defeated Elias Samson and Riddick Moss in a dark match. September 24, 2015 – NXT Live Event: The Vaudevillains defeated Riddick Moss and Baron Corbin. October 10, 16, 2015 – NXT Live Event: Hugo Knox defeated Riddick Moss. October 14, 2015 – NXT: Riddick Moss was in the #1 contenders battle royal for the NXT title won by Apollo Crews. November 4, 2015 – NXT: Hugo Knox defeated Riddick Moss in a dark match. November 5, 2015 – NXT Live Event: Riddick Moss defeated Josh Woods. November 7, 2015 – NXT Live Event: Riddick Moss defeated Hugo Knox. November 20, 2015 – NXT Live Event: Riddick Moss defeated Rich Swann. December 9, 2015 – NXT: Bull Dempsey defeated Riddick Moss in a dark match. January 16, 2016 – NXT Live Event: Riddick Moss defeated Alex Riley. February 5, 2016 – NXT Live Event: Riddick Moss defeated Patrick Clark. March 5, 2016 – WWE Experience: Johnny Gargano defeated Riddick Moss. Apollo Crews defeated Riddick Moss. March 6, 2016 – WWE Experience: Chad Gable defeated Riddick Moss. Apollo Crews defeated Riddick Moss. March 17, 2016 – NXT Live Event: Rich Swann defeated Riddick Moss. March 24, 2016 – NXT Live Event: Riddick Moss defeated Alex Riley. March 26, 2016 – NXT Live Event: NXT champion Finn Balor defeated Riddick Moss to retain the title. March 31, 2016 – WrestleMania Axxess: Riddick Moss defeated Patrick Clark. April 2, 2016 – WrestleMania Axxess: Alex Riley defeated Riddick Moss. April 3, 2016 – WrestleMania Axxess: Tino Sabbatelli defeated Riddick Moss. April 8, 2016 – NXT Live Event: Riddick Moss defeated John Skyler. April 14, 2016 – NXT Live Event: Riddick Moss defeated Alex Riley. April 15, 2016 – NXT Live Event: NXT tag team champions Dash Wilder and Scott Dawson defeated Tino Sabbatelli and Riddick Moss to retain the titles. April 21, 2016 – NXT Live Event: Mojo Rawley defeated Riddick Moss. July 16, 2016 – NXT Live Event: Riddick Moss defeated Josh Woods. July 21, 2016 – NXT Live Event: Mojo Rawley defeated Riddick Moss. July 22, 2016 – NXT Live Event: Hugo Knox defeated Riddick Moss. August 13, 2016 – NXT Live Event: Daria Berenato and Shinsuke Nakamura defeated Billie Kay and Riddick Moss. September 17, 2016 – NXT Live Event: Rich Swann defeated Riddick Moss. October 1, 2016 – NXT Live Event: Hideo Itami and Shinsuke Nakamura defeated Riddick Moss and Tino Sabbatelli. October 12, 2016 – NXT: TM-61 (Nick Miller and Shane Thorne) defeated Riddick Moss and Tino Sabbatelli in the 1st round of the Dusty Rhodes Classic. October 28, 2016 – NXT Live Event: SAnitY (Alexander Wolfe and Sawyer Fulton) defeated Riddick Moss and Tino Sabbatelli. 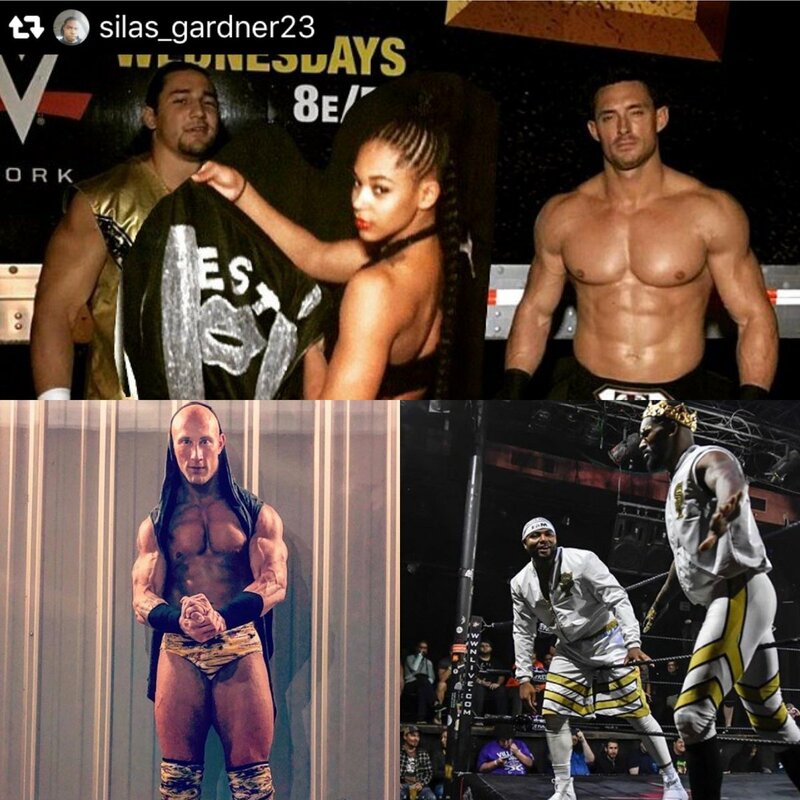 November 11, 2016 – NXT Live Event: Riddick Moss and Tino Sabbatelli defeated The Ealy Twins (Gabriel Ealy and Uriel Ealy). November 17, 2016 – WrestleMania 33 On-Sale Party: Heavy Machinery (Otis Dozovic and Tucker Knight) defeated Riddick Moss and Tino Sabbatelli. December 3, 2016 – NXT Live Event: The Revival (Dash Wilder and Scott Dawson) defeated Riddick Moss and Tino Sabbatelli. December 8, 2016 – NXT Live Event: The Revival (Dash Wilder and Scott Dawson) defeated Riddick Moss and Tino Sabbatelli. January 4, 2017 – NXT: The Revival (Dash Wilder and Scott Dawson) defeated Riddick Moss and Tino Sabbatelli. February 17, 2017 – NXT Live Event: NXT tag team champions The Authors Of Pain (Akam and Rezar) defeated Riddick Moss and Tino Sabbatelli in a non-title match. March 9, 2017 – NXT Live Event: Shinsuke Nakamura defeated Riddick Moss. March 23-24, 2017 – NXT Live Event: Aleister Black defeated Riddick Moss. May 4-6, 2017 – NXT Live Event: #DIY (Johnny Gargano and Tommaso Ciampa) defeated Riddick Moss and Tino Sabbatelli. May 27, 2017 – NXT Live Event: Aleister Black defeated Riddick Moss. June 9, 2017 – NXT Live Event: Aleister Black defeated Riddick Moss. June 11, 2017 – NXT Live Event: Alexander Wolfe defeated Riddick Moss. June 15, 17, 2017 – NXT Live Event: SAnitY (Alexander Wolfe and Killian Dain) defeated Riddick Moss and Tino Sabbatelli. August 9, 2017 – NXT Live Event: Aleister Black and Drew McIntyre defeated Riddick Moss and Tino Sabbatelli. August 25, 2017 – NXT Live Event: Johnny Gargano defeated Riddick Moss. September 6, 2017 – NXT: Riddick Moss & Tino Sabbatelli challenged Johnny Gargano to matchs in the next few weeks. September 13, 2017 – NXT: Johnny Gargano defeated Riddick Moss w Tino Sabbatelli. September 20, 2017 – NXT: Johnny Gargano defeated Tino Sabbatelli w Riddick Moss. September 21-24, 29, 2017 – NXT Live Event: Street Profits (Angelo Dawkins and Montez Ford) defeated Riddick Moss and Tino Sabbatelli. October 27, 2017 – NXT Live Event: Riddick Moss was in the Halloween Costume battle royal won by Shayna Baszler. October 28, 2017 – NXT Live Event: Riddick Moss and Tino Sabbatelli defeated The Ealy Twins (Gabriel Ealy and Uriel Ealy). November 2, 2017 – NXT Live Event: Drew McIntyre defeated Riddick Moss to become #1 contender for the NXT title. November 15, 2017 – NXT: Street Profits (Angelo Dawkins and Montez Ford) defeated Riddick Moss and Tino Sabbatelli. November 29, 2017 – NXT: Street Profits (Angelo Dawkins and Montez Ford) defeated Riddick Moss and Tino Sabbatelli. January 12, 2018 – NXT Live Event: Johnny Gargano defeated Riddick Moss. February 23, 2018 – NXT Live Event: Riddick Moss and Tino Sabbatelli defeated Cheng Yuxiang and Tian Bing. March 8, 2018 – NXT Live Event: The Velveteen Dream defeated Riddick Moss. March 14, 2018 – NXT: SAnitY (Alexander Wolfe and Eric Young) defeated Riddick Moss and Tino Sabbatelli in the 1st round of the Dusty Rhodes Classic. April 5, 2018 – WrestleMania Axxess: Trent Seven and Tyler Bate defeated Riddick Moss and Tino Sabbatelli in the 1st round of the tag team title tournament. Riddick Moss suffered a torn achilles heel and will be out of action for a unknown amount of time. November 30, 2018 – NXT Live Event: Matt Riddle defeated Riddick Moss. December 1, 2018 – NXT Live Event: Fabian Aichner defeated Riddick Moss. @riddickMoss @WWEPC You should wrestle Against Lars Sullivan, You and Sullivan will make a great feud. @NXTWWEMom @riddickMoss We need merch! We need merch! Gotta wait on my next pay check, due to being a teacher. Either way, WE NEED MERCH!